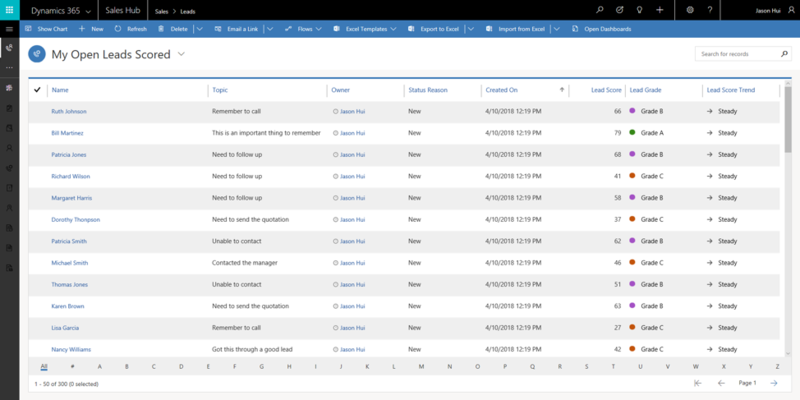 The October release of Dynamics 365 contains the first previews of exciting new components. 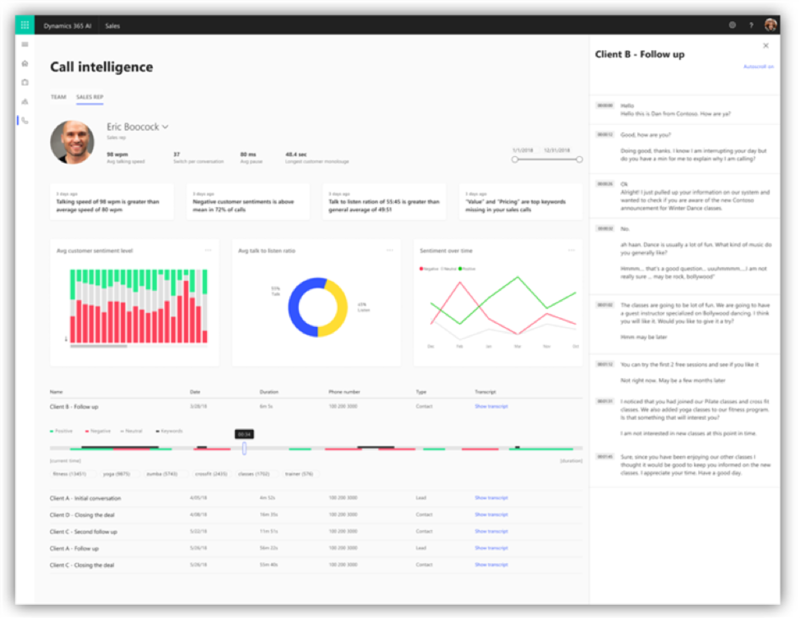 Here we’ll look at one of the new Artificial Intelligence components, AI for Sales, which provides insights to sales managers and representatives for improved prospect choices, engagement, and decision-making. Microsoft lists eight feature areas of which six are available now and the last two are available for preview. The view will show the contacts with the strongest connections up to a maximum of five. 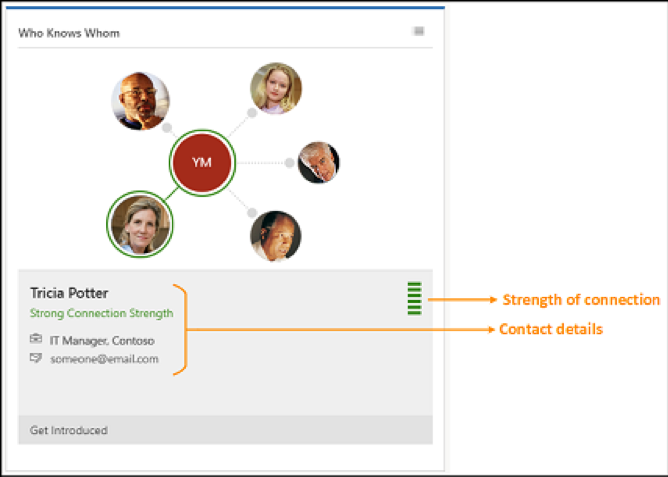 Clicking on the contact displays the details and connection strength. The toggle in the top right corner allows switching between the diagram view here and detailed list. 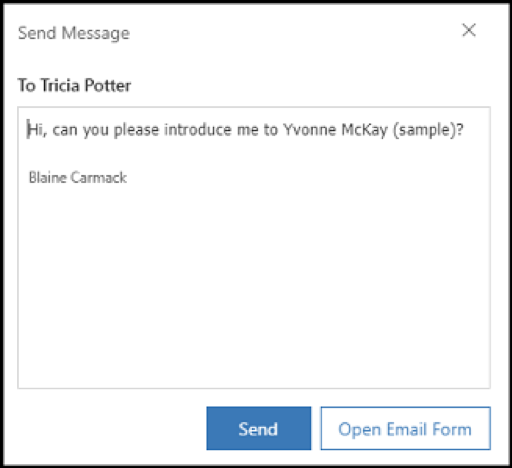 Selecting “Get Introduced” will launch a prompt to a simple email message with the option to launch the email form for a fully customized email. Interactions between salespeople and customers and contacts often involves numerous details about business goals, personal interests, health, and family which can be used to engage in conversions and build positive sales relationships. Remembering all these details is a challenge when dealing with large numbers of customers, especially those you have not spoken with often or recently. 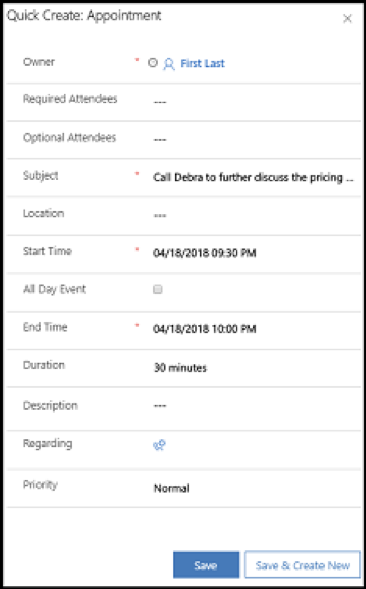 Talking Points helps by allowing simple easy entry of key details from prior conversations. On the bottom are buttons for the various categories of personal interest, such family, movies, health, sports, etc. These categories are configured by the system administrator. Clicking on a category button filters the displayed talking points to that category. The downward arrow caret expands the list. The heart icon can be toggled to mark talking points of interest you wish to focus on. Clicking on the list icon on the top right changes the view into a list across all categories. 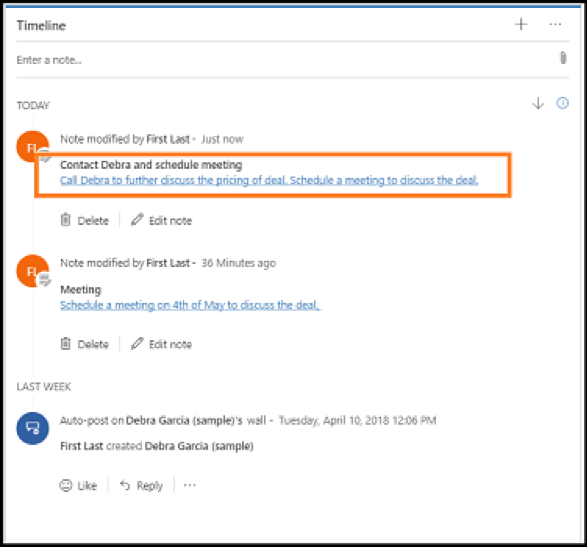 Notes Analysis is a feature that examines Timeline (formerly known as Activity Wall) notes on prior customer interactions and produces suggested actions you can perform such as follow tasks or creating appointments. When saving a new note on the Timeline the entered text is examined and suggestions are displayed. The suggestions are creating activities, tasks, contacts, meeting, content requests, and issue detection. Analysis of this text will generate suggestions to create a new appointment or phone call. Notes Analysis is a good feature to help ensure time line notes are followed up by actual actions. 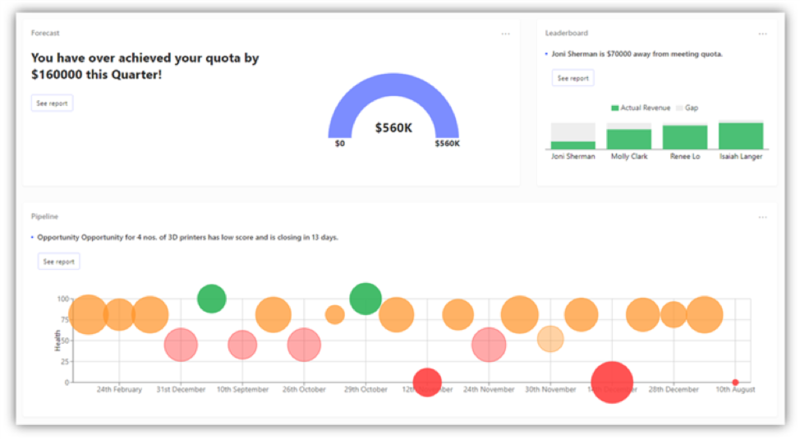 This feature uses machine learning to generate a model-based predictive score between 1 and 100 on the chances of leads becoming opportunities. 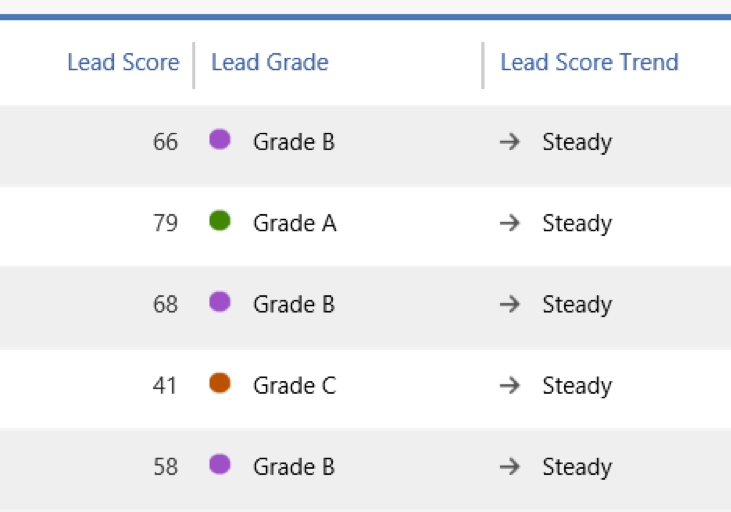 These scores help salespeople better identify and prioritize leads that have better chances of becoming opportunities. Lead Score is the likelihood to convert into an opportunity on a scale of 1 to 100 where 100 is highest likelihood of conversion. The next column, Lead Grade, is a color coded grading category of A, B, C, or D with A being the best and D the worst. Grade ranges can be configured by the system administrator based on the requirements of the organization. The least column, Lead Score Trend, indicates how the current score has changed over the prior one. 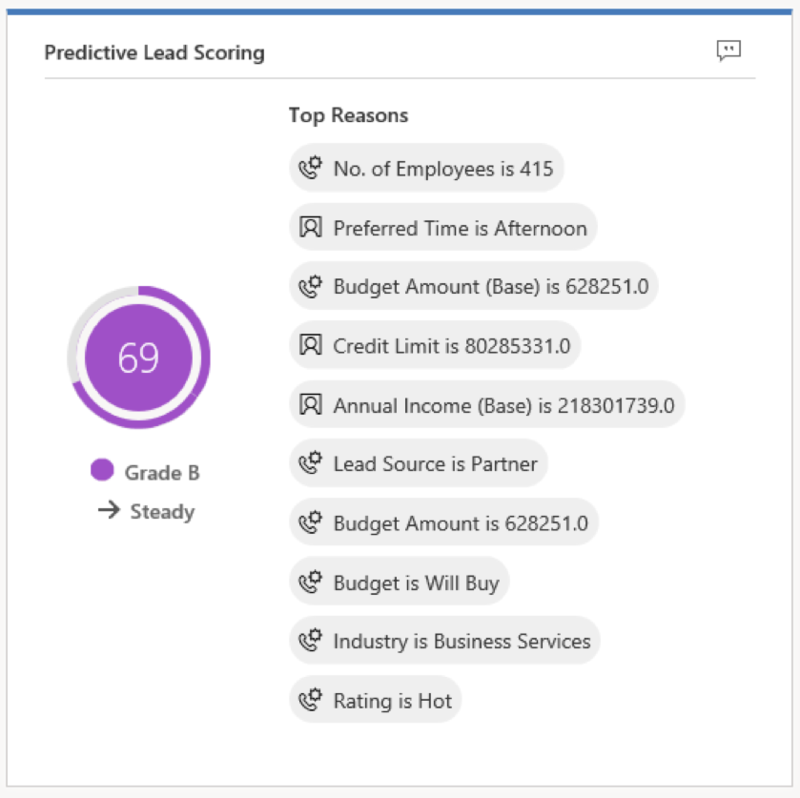 The Lead Score widget shows the reasons impacting the lead score. Here one can identify what areas to focus on in improving the score on a lead. Predictive Opportunity Scoring works similarly to Predictive Lead Scoring using machine learning to generate a model-based predictive score between 1 and 100 on the chances of opportunities become a win. These scores help salespeople identify and prioritize opportunities that have better chances of becoming a winning deal. The views are identical to that of the Predictive Lead Scoring covered in the last section. Relationship Analytics works to analyze the interactions that impact the relationship health between customers and your organization to help manage the opportunities pipeline. 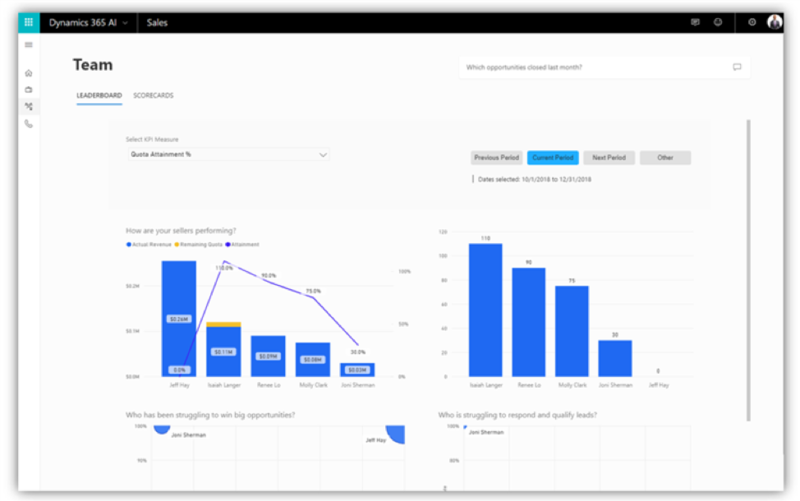 Holistic analysis is done on multiple channels of engagement data from Dynamics 364, Exchange Online, and LinkedIn InMail to generate a health score that can be used to prioritize sales efforts on customers who need the most attention. These scores are displayed as a key performance indicator (KPI) named My Open Opportunities by Relationship as shown below. From here you can select “Show Chart” and Relationship pipeline to get a bubble chart like below. The bubble color (green, yellow, or red) indicates the health score of the opportunity and the size indicates the estimated revenue. Hovering the mouse over a bubble displays a popup of additional detailed information. Clicking on a bubble displays the opportunity record which appears as follows. 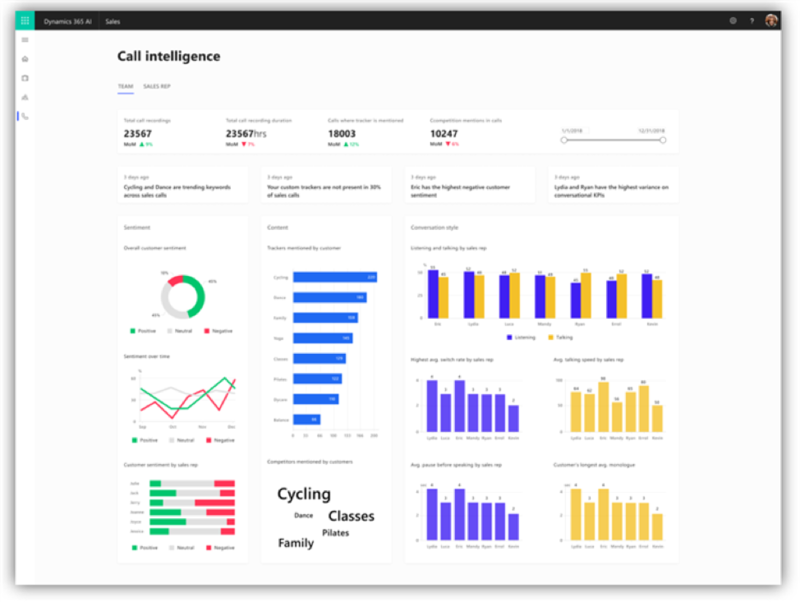 Sales Team Performance and Call Intelligence features are a series of views for sales managers which leverage the analysis of the all of the above features to track overall sales performance. These features are currently in public preview and may change. The first view, Quick Insights appears as follows. 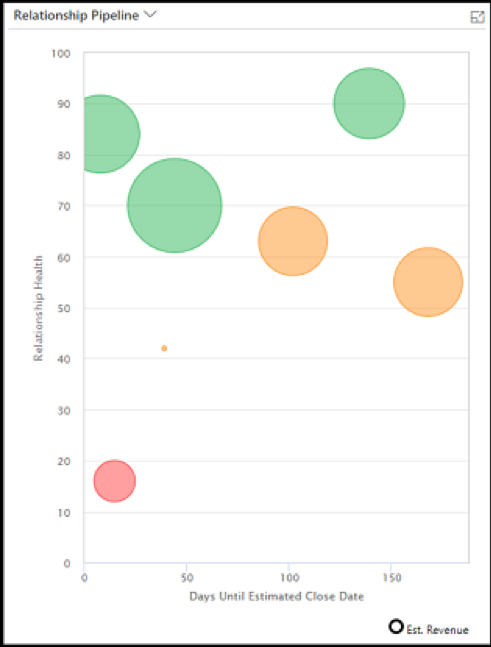 It shows interactive charts on overall sales performance with options to drill down into more detailed reports. 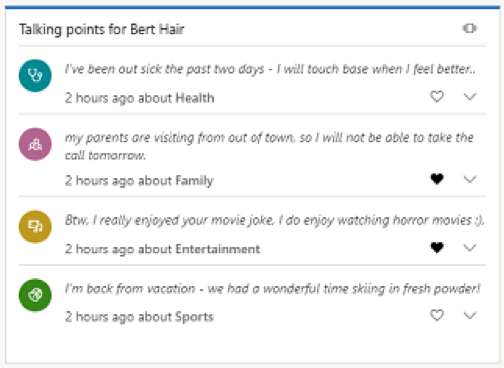 The Proactive Assistant view shows recent highlights, upcoming activities, and related news to help keep track of current events. The Business report provides aggregate-level information on the current sales cycles like below. The Team report provides detailed performance information on the overall team and individual members. For Call Intelligence, two new views exist which analyze sales representative call performance. 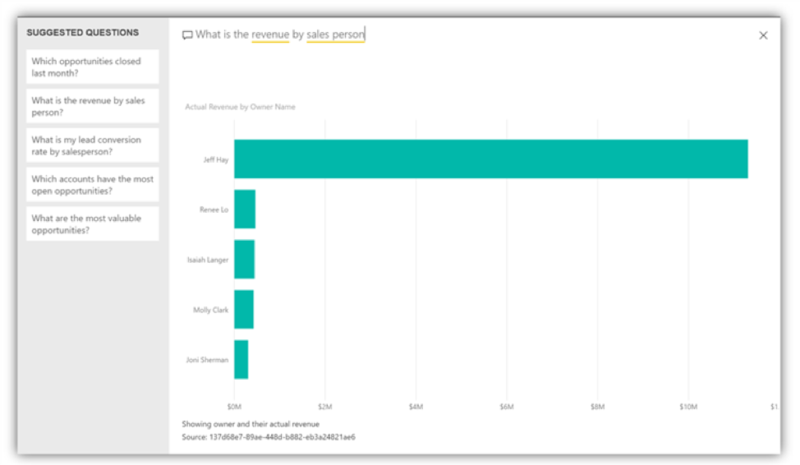 The first displays KPIs on the performance of sales calls overall. 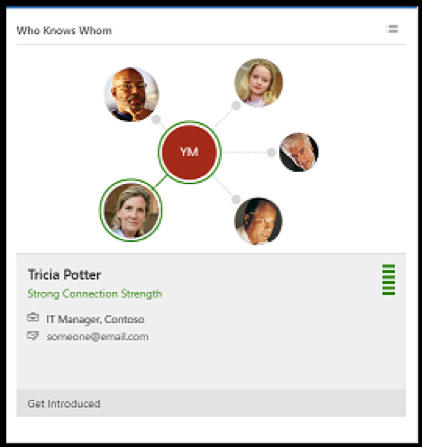 The second Call Intelligence view displays detailed performance information for an individual sales representative. 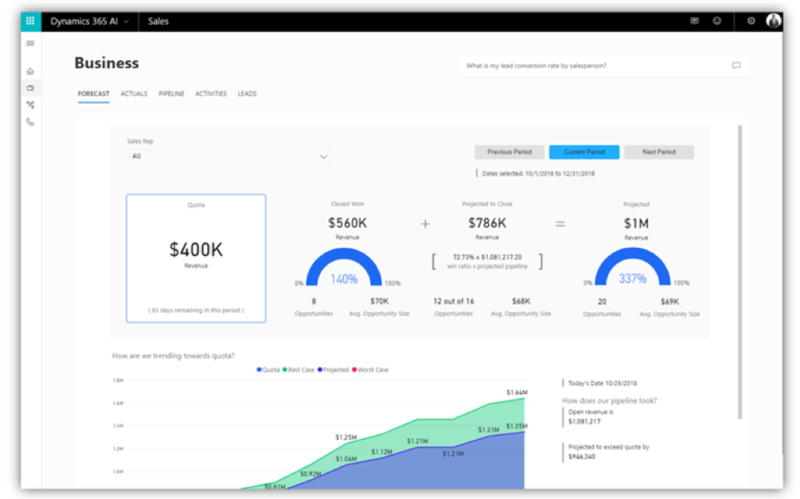 Information on the October 2018 Microsoft business applications release is available here: https://docs.microsoft.com/en-us/business-applications-release-notes/October18/index. Do you need help with training? 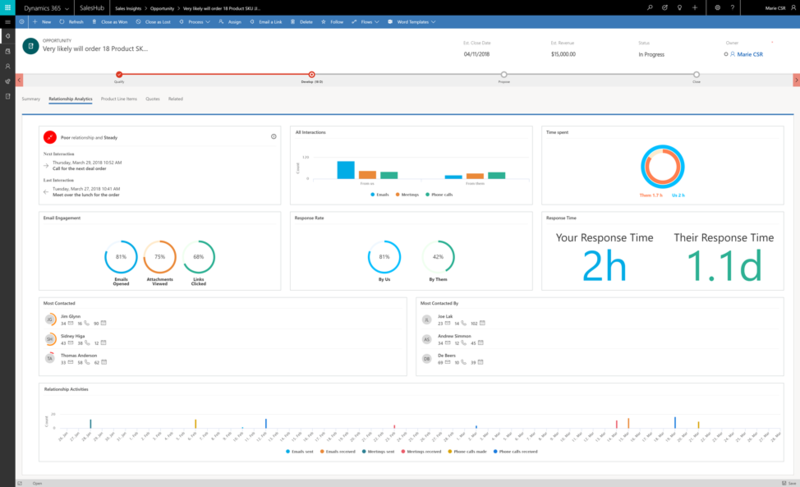 Or creating customizations for Dynamics 365? A good Dynamics Partner like KTL Solutions has the knowledge and experience to handle the legwork of development and support. KTL Solutions provides customized software solutions, Office 365 support, eCommerce customizations, and integration with Microsoft Dynamics. Contact us today. Is Azure Right for You? Fortune 500 companies rely on Azure for analytics, computing, database, mobile, networking, storage, and more. Business is always evolving; part of your job is keeping up. Let us help by attending a KTL event. Have any questions about Business Solutions? Contact KTL and let one of our qualified experts help. Do you want to try a 30-day Free Microsoft Trial? Sign up for Newsletter We respect your privacy.